I remember when I got into affiliate marketing, one of the things that really confused me a lot is WTF is a postback URL, what does it do, what is a SUBID, why do we need it. What is a tracking pixel. I am now training some new employee of mine, and made a diagram in mindjet to easily explain it. Here it is, hope it helps. 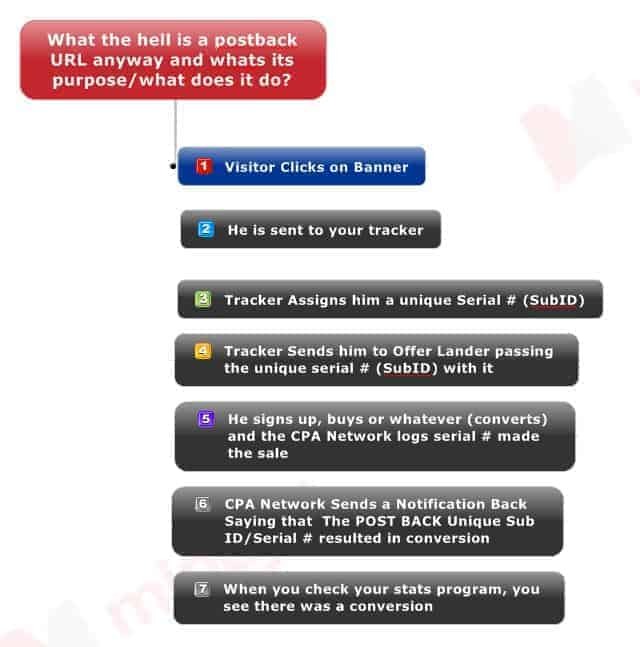 To put it simply; if you don’t place the postback URL or tracking pixel; then your tracker won’t be able to tell you if there was a conversion or not. That is why you need to use it. Google’s March 30th developer changes mean NO MORE CALL TO ACTIONS. Here is example of a disapproved ad. The reason is the button that says Download (Descargar). It’s not animated, its branded, so its clearly the button. So, since April 1st we couldn’t get banners approved that did not violate the new policies. Well, the correct way to say it would be we could get banners approved in one campaign, then if we setup another campaign they’d get rejected. We are lucky and have a person inside Google helping us on this, she designed a banner which too; complies with policy only to have it disapproved by the system. 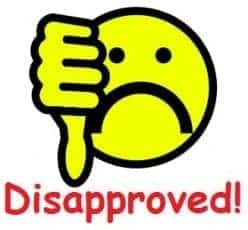 That is when we heard that yes, they do have a problem with their ad approval system, and was told our entire account will be re-scanned and all ads which violate the policy disapproved. 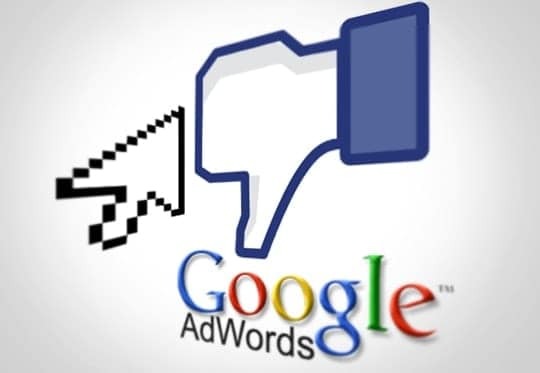 I wake up today (it’s Sunday btw), there’s a 500% jump in volume, I check my stats and I see campaigns sending clicks which were all rejected prior by google. In haste, I check those campaigns and I see APPROVED next to every ad. Are we close to seeing the light at the end of the tunnel? Let’s hope so!